Division 1 is for girls in 3rd and 4th grade. In-house games are played at the GAL Optimist field in Minnetonka. 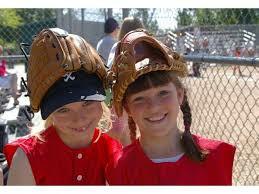 In addition we play inter-league games with the Minnetonka Girls Softball Assocation (MGSA). Games will alternate between their fields (Legacy, behind Minnetonka High School) and Optimist. The girls begin pitching at this level, with USSSA-trained youth umpires calling balls and strikes, as well as plays in the field. The emphasis at this level is to fine tune the basics of the game and begin learning a more advanced level of play. The season begins with practices in April and ends in late-June or early-July. There is an interleague tournament with MGSA at the end of June. The fee for the 2019 season is $175. Players registered prior to March 30, 2019 receive a $25 discount. All players receive a jersey, softball shorts, and socks.